Since October 2013, Hope House has joined with other domestic violence programs around the state by implementing the Lantern Project. For our part in this statewide project, we added to the lamppost in front of Hope House a purple wreath. We will turn on the light for a week every time there is a death related to domestic violence in Wisconsin. We will post information online about the person(s) that was killed. If you drive by our building and see our lamppost on, please reflect on the deadly impact that domestic violence has on our communities. Hope House is deeply saddened by the news of a domestic violence homicide in our service area. We know it can happen at any time, yet we know we must always be working diligently to help keep people safe and promote a peaceful life for all. Our thoughts are with all that knew Tetiana. We are so sorry for your loss. If you or someone you know is experiencing domestic abuse, you are not alone. Hope House's 24-hour, confidential helpline is 1-800-584-6790. We are here to listen and to provide emotional support and resources. ​Obituary: An obituary is not available at this time. We will post it here when it is. Murder suspected in death of 23-year-old Dells mother; man in custody: "Wisconsin Dells police are investigating the death of a 23-year-old woman found in her home April 4 at 322 Washington Ave., leaving behind a young daughter. Police identified the woman as Tetiana Huzhva. Wisconsin Dells police arrested Fuad Pashayev, 31, April 4 in connection with her death after he returned to the residence. Chief of Police Jody Ward said in a press release the Wisconsin Dells police dispatch received a call at about 4:37 p.m. April 4 from Montgomery County authorities in Pennsylvania. The call led to officers performing a welfare check at the home where they found the woman's body. A neighbor said the woman had a young child. Calls to the Wisconsin Dells Police Department about the welfare and placement of the child were not immediately returned. Ward said police 'identified immediately' a person of interest in the case. Pashayev, 31, returned to the residence later in the evening and was taken into custody. According to Ward, the incident was a 'domestic situation,' and there was never any risk to the public. An autopsy is scheduled for the early afternoon on April 4. Pashayev is currently incarcerated at the Columbia County Jail awaiting formal charges. This story will be updated as more information becomes available." ​Since October 2013, Hope House has joined with other domestic violence programs around the state by implementing the Lantern Project. For our part in this statewide project, we added to the lamppost in front of Hope House a purple wreath. We will turn on the light for a week every time there is a death related to domestic violence in Wisconsin. We will post information online about the person(s) that was killed. If you drive by our building and see our lamppost on, please reflect on the deadly impact that domestic violence has on our communities. MILWAUKEE -- The tragic deaths of Noelani Robinson and her mother, Sierra, highlight a real problem we have in the city: human trafficking. The community rallied behind the search for Noelani and as we mourn the terrible loss together, there are many other children in Milwaukee who could use our help. "Any time that we lose a child, especially in this manner, is extremely disheartening," said Reggie Moore, director of the Office of Violence Prevention. Reggie Moore is the director of the City of Milwaukee's Office of Violence Prevention. "On a day-to-day basis, young people are being trafficked and exploited as well as adults in our community and we're not talking about it enough," said Moore. Noelani Robinson's mom, Sierra, was one of those victims. Police say Dariaz Higgins was her pimp. Noelani was caught in the middle of a dangerous world hiding in plain sight. "You can see someone in the street who you have no idea is involved in human trafficking," Moore said. "When you look at the data and the research, you're more likely to be trafficked by someone you know." The problem is prevalent in Milwaukee, which is known nationally as a major hub. "When you look at our proximity to the Dells, to Chicago, and to other metropolitan areas, those are contributing factors," said Moore. Moore says education and raising awareness is a start to help prevent human trafficking. The goal is to train more people to look for signs and not turn a blind eye. "This is happening on a regular basis," said Moore. Partnering with the Human Trafficking Task Force of Greater Milwaukee, the Office of Violence Prevention is making it a priority to raise awareness and help victims. "What we're asking people to do is sustain the outrage that they feel today at the loss of this beautiful young lady..." Moore said. "...and look at the children that are still with us and really say, what can we do?" Right under our nose, another little girl or boy is waiting for help. "She was a beautiful toddler and her life was cut short as a result of human trafficking. Her unfortunate death is a reminder of the dangers of human trafficking," Milwaukee Mayor Tom Barrett said. You can get involved with the human trafficking task force, there's a series of events and fundraisers to try to support organizations that are working directly to help rescue folks as well as to promote accountability for suspects. Police have identified three people from the village of Walworth among the victims of a suspected murder-suicide discovered here Sunday. Police said the incident involved Steven and Rebecca Kohs, described as an estranged couple, who were involved in divorce proceedings earlier this year. Steven Kohs, 34, was found dead of a possible self-inflicted gunshot wound. His wife, Rebecca Kohs, 39, was found shot, but she survived and is expected to make a full recovery. Also killed was William Swift, 48, who was found shot to death inside an apartment at the scene. Police have not released information about Swift’s relationship to the Kohses. According to the Delavan Police Department, police were called just after midnight Sunday on a report of gunshots fired at an apartment at 127 N. Walworth St. in the village of Darien. Police said Steven Kohs was found dead outside the apartment, while William Swift was found inside the apartment. Police did not specify where Rebecca Kohs was found injured. Walworth County court records show that Rebecca Kohs filed for divorce from Steven Kohs in February, but that the case was dismissed a month later. Records show that the couple at the time lived in the 300 block of Fox Lane in Walworth. A Kenosha woman may have helped her husband commit suicide — or she may have murdered him. Dawn McDermid, 62, is being held on $300,000 bond for the death of her husband of 18 years, Robert Garcia. McDermid has not yet been charged — charges are expected Monday — but Deputy District Attorney Angelina Gabriele laid out the potential case against her at a temporary bond hearing Wednesday. Gabriele said that, at the least, the state plans to charge McDermid with assisting suicide and obstructing police. “It sounds to me that there may be evidence of intentional homicide here,” Commissioner Jon Mason said in setting bond. McDermid, sometimes crying, sometimes shaking her head as Gabriele spoke to the court, sat in a wheelchair during the hearing. Kenosha Police were called to McDermid’s home on the 7000 block of 53rd Street at 7:10 p.m. Monday. They found Garcia dead on the floor of the garage. McDermid told them she had come home from spending the day in Chicago to find that her husband had killed himself. She told police she and Garcia had been estranged. But Gabriele said police became suspicious about the events leading to Garcia’s death and said McDermid eventually admitted to police that she had a hand in it. “While suicidal steps may have been part of what occurred … she may have prevented him from changing his mind and then prevented him from seeking help,” Gabriele said. According to Gabriele, McDermid — a former nurse with a master’s degree in nursing — did not find Garcia dead. Instead, she later told police, she found him collapsed in the garage, still breathing. The prosecutor said McDermid locked the door of the garage so her husband couldn’t get into the home if he came to, and may have turned up the radio on the vehicle in the garage so if he called for help he would not be heard. Gabriele said the vehicle was found running when police arrived. “There was carbon monoxide, but not in sufficient quantity to cause death,” she said. She told the court commissioner that the cause and manner of death has not yet been determined by the medical examiner. According to Gabriele, McDermid had hidden the bloody gloves in her purse, a purse she had with her when she went to the Kenosha Police Department to answer questions. The prosecutor said that McDermid drove to the police station with her son, and that, while they were in the car, she sought his help in disposing of the gloves. He refused, and later told investigators what she had said. Gabriele said that McDermid later admitted to police that she had flushed the gloves down a toilet at the police station before her arrest. Gabriele said there was “a large amount of cash” found in McDermid’s purse, along with her husband’s credit cards. Public defender Ben Schwarz represented McDermid at the temporary bond hearing, although he said she will not qualify for a public defender. He told the court McDermid disputes many of the allegations Gabriele laid out in court. In the month before his death, Garcia had run-ins with police, including a domestic violence charge. Garcia, 60, was charged with OWI-second offense on Sept. 19, and was ordered not to drink alcohol as part of his bond. On Sept. 29, McDermid called police to report that her husband was drunk and being irrational and threatening. According to a criminal complaint for charges filed Oct. 1 against Garcia, McDermid told police on that day that Garcia had come home from work drunk, although he had just gotten out of rehab days before. She told police she knew that Garcia hides alcohol under the seat of his pickup truck, so she checked and found an empty vodka bottle and a partially consumed bottle under the seat. The complaint stated that Garcia left the house, and that he did not hit McDermid. According to the Oct. 1 complaint, McDermid told police that Garcia had been making suicidal statements in recent weeks. Later the same day, McDermid called police again when Garcia returned home. An officer spoke to him and said he appeared to be intoxicated and smelled of alcohol. “Robert refused to speak about the earlier incident with Dawn. However, Robert stated that he was not from this planet and that he was going to suffer ‘sleep death.’ Robert would not explain what ‘sleep death’ meant,” but assured police he was not suicidal, the complaint stated. He was arrested and later charged with disorderly conduct-domestic violence and bail jumping. The day Garcia died, he was to appear in court for a hearing on the OWI case. When he did not appear in court, a warrant was issued for his arrest. Meanwhile, she told the court she hoped to post bond. “I could post it myself if I could have access to my wallet and my keys,” McDermid said. Milwaukee police are investigating a homicide that happened Sunday night, Nov. 11 near 11th and Keefe. Witnesses and family members of the victim and suspect said there was no reason for someone to lose their life in an argument that started over a man. It happened around 7:30 p.m.
Police said the victim, identified by family members as 19-year-old Elaina Rookard, and the suspect were involved in an altercation outside of a residence when the victim suffered a serious gunshot wound. The victim was taken to the hospital, where she died from her injuries. "People saw the goodness in her and loved her for it. She did everything for anybody. You can ask anybody out here. She did something for everybody out here," said Tatty Harris, friend of Rookard. The 37-year-old suspect was arrested. Her mother, Liz Klepp, is now caring for her two young children, who witnessed the shooting, according to Klepp. Klepp said she believes her daughter was acting in self-defense. "I'm a basket case. There's nothing else to say. I can see what everybody else goes through now. I tried to talk to her and say 'you can have him. Take him. He's all yours,' but she didn't like that. I don't know what to do. I'm empty. I don't know what to do," said Klepp. Rookard's loved ones gathered for a vigil in her honor on Monday night. They said Rookard was overcoming obstacles on her way to a bright future -- making a comeback after she was arrested in June for speeding and driving under the influence of a controlled substance with a baby in the car. "She was actually in the transfer program at MATC to become a social worker through UW-Milwaukee. She had her whole life in front of her. I was so proud of her," said Lyndsey Siskoy, Big Brothers, Big Sisters mentor. "She was a good person. She had a good heart. She`d give anybody here anything," said Harris. The investigation continues. Police are not releasing the identity of the suspect until she's charged. A Franklin man has been charged in connection with the murder of his estranged wife. Prosecutors charged Sunkeun Kim, 29, with one count of first degree intentional homicide and two counts of felony bail jumping. According to a criminal complaint, on Sunday evening, Nov. 18, Town of Brookfield police officers were called out to a condo complex near Bluemound Road and Brookfield Road, after a 911 caller indicated her roommate, Madeline Kim, 27, was dead. The roommate said the front door to the home was ajar, and Kim’s body was found on the floor in her bedroom. The roommate said Kim was last seen on Thursday evening, Nov. 15 when she left to go to her parents’ house for the weekend. A neighbor told investigators late on Friday, Nov. 16/early on Saturday, Nov. 17, he woke up to “several loud thumps in a row,” with his bedroom adjacent to Madeline Kim’s bedroom wall. He said he got up and looked out the window and the lights in Kim’s unit were off. He said he noticed a black Toyota SUV parked in front of the unit’s garage, and said this was suspicious because he knew the residents were out of town. The complaint notes Sunkeun Kim drives a black Toyota SUV. The complaint notes at the end of September, Sunkeun Kim made his initial appearance in court in Waukesha County on domestic violence charges, including strangulation, false imprisonment, battery and disorderly conduct for incidents in August and September allegedly involving Madeline Kim. The criminal complaint in that case said on Sept. 22, Madeline Kim indicated Sunkeun Kim had been violent with her after “she had three drinks, and he only allows her to have two.” She said he also opened a credit card she received in the mail without her permission — and told her he wanted a divorce, and she would need to repay his parents for the wedding. She said he slapped her in the face, and when she tried to leave, he took her phone and keys before pushing her onto the bed and strangling her. 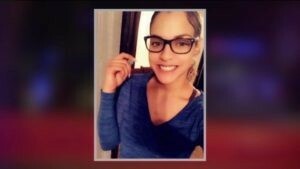 She said she lost consciousness and “thought she was going to die.” She said each time she attempted to leave, she was strangled or hit. She was eventually able to get her phone — texting a friend “save me.” The friend showed up and picked her up. She told investigators Sunkeun Kim had threatened to kill her, the dog and himself, and showed investigators pictures from late August when he physically assaulted her during an argument about finances. At this point, Sunkeun Kim was released on $15,000 bond, and ordered to have no contact with Madeline Kim or her residence. The complaint said Madeline Kim told investigators “she was scared of Sunkeun, but loved him and didn’t want him to get into trouble.” She said she believed the physical abuse would continue, and was progressively getting worse. Madeline Kim filed for divorce on Oct. 29, the complaint said. The complaint said Madeline Kim reported Sunkeun Kim contacted her on Oct. 10 at the University of Wisconsin-Milwaukee Student Union. He was charged with felony bail jumping. After she was found dead, a search warrant was executed at her home, and the complaint said investigators could not locate her cellphone. The complaint notes Sunkeun Kim took Madeline Kim’s phone during the prior domestic incidents. As a result of the prior alleged incidents, the complaint said Sunkeun Kim was required to be on GPS monitoring. Investigators learned of a “tamper alert” related to Sunkeun Kim’s GPS device on Monday, Nov. 19, and he reported that he was “having a battery problem with the device over the weekend,” and soon arrived at the GPS company. The complaint said of the two tabs on the GPS tracker that would set off a tamper alarm, the top one was compromised. The GPS records revealed Sunkeun Kim was near Bluemound and Brookfield on the afternoon of Friday, Nov. 16 — less than a quarter mile from Madeline Kim’s home. The complaint said on Tuesday, Nov. 20, detectives observed marks on Sunkeun Kim, including abrasions on his left hand and a burn mark on his left arm. This, after he was approached by the detectives while walking through an alley, who said they wanted to talk to him about his wife. He said he “just heard the news,” and followed the detectives to the Waukesha County Sheriff’s Department because they had a search warrant for his phone. A search of Sunkeun Kim’s phone revealed searches for things like “shoehorn ankle bracelet trick,” “if you are stabbed in the neck,” “carotid bleeding,” stun gun and stun gun side effects. These searches were deleted, but recovered by investigators. Sunkeun Kim was then taken into custody. The complaint said an autopsy revealed Madeline Kim was strangled to death and suffered blunt force trauma to the head. Kim made his initial appearance in court in this case on Wednesday, Nov. 21. Cash bond was set at $1 million, and a preliminary hearing was scheduled for Dec. 13. An Oshkosh man has been charged in the shaking death of his infant child. Cory D. Lyons, 27, is charged with 1st Degree Reckless Homicide in Winnebago County. On Nov. 29, Oshkosh Police were called to a local hospital for a report of a pulse-less, non-breathing, seven-week-old child. Officers interviewed the child's mother who said she had left the baby in the care of the father, Cory Lyons, while she was at work. It was her first day back at work since she had given birth, according to a criminal complaint. The mom told police that Lyons called her at about 7 p.m. that night to tell her the child's breathing wasn't right and she needed to come home. The mom arrived at the family's home at 547 W. 8th Ave to find the baby making "gasping" sounds. Doctors performed a CT scan and found the child was suffering from a brain bleed. The child later died at the hospital. Police spoke with Lyons who said the child had been "fussing." He initially tried to blame his dogs for injuring the baby, but police questioned their ability to cause a brain bleed. Lyons continued to change his story. First, he said the dogs jumped on the child. Then he said he may have put the baby down too hard. Then he said he dropped the baby on the floor. Eventually, Lyons told police that he had become " highly frustrated" with the child's fussing and crying and "jerked him." Lyons described placing his hands around the child under his arms and around the rib cage. He then demonstrated how he jerked the child. Lyons said he shook the baby between five and six times. "He had explained that he was frustrated. He stated the child's head snapped back and came forward. The defendant acknowledged that he had not been supporting the child's head in any way at this time," reads the criminal complaint. At this point, the child was still crying. Lyons told police that he set the child down and walked away. Lyons appeared in court Dec. 4. Cash bond was set at $250,000. A preliminary hearing is scheduled for Dec. 13. MADISON (WKOW) – A prosecutor says a 20-year-old woman’s suspicions about her boyfriend’s infidelity led to his fatal beating. That woman, McKayla Tracy of Lodi, was weeping through the entirety of a bail hearing Thursday at the Dane County courthouse. Authorities say her boyfriend, 24-year-old Dalton Ziegler, was found Tuesday at his Dane home on Highway 113. Deputy Dane County District Attorney Matthew Moeser says Tracy was living at the home and summoned Drew Luber of DeForest and Jacob Johnson of Sun Prairie to the home to confront Ziegler over his alleged cheating. Tracy’s attorney, Greg Dutch, says Tracy tried to intervene to spare Ziegler. “It appears she was in a corner telling the two co-defendants to stop,” Dutch says. But Moeser says Tracy, Luber and Johnson left Ziegler at the home, took his debit card and $25 and spent the money and used the card at a gas station. Moeser says another woman who was at the home at the time of beating also left, but returned 16 minutes later to call 911, but it was too late. Moeser says felony murder charges will be filed against Tracy, Luber and Johnson. Felony murder involves a death taking place in connection with the commission of another crime. Court Commissioner Jason Hansen set bail at $50,000 for Tracy and Luber, and $35,000 for Johnson, noting Johnson’s absence of any criminal record. Tracy and Luber both have drug convictions and Luber has a pending case on charges including battery. If the three remain jailed by Monday, they will again appear in court with charges filed against them. A 33-year-old Milwaukee man is accused of stabbing his brother to death early Monday on a West Allis street, police said. Police on Friday identified the victim as Benjamin Eldridge, 34. His brother, Jonathan Eldridge, has been charged with second-degree reckless homicide -- use of a dangerous weapon. Police said the brothers were traveling together in a vehicle in the 6700 block of West Beloit Road when an fight ensued and Jonathan stabbed Benjamin multiple times. Benjamin exited the vehicle and died as a result of his injuries in the 6700 block of West Lincoln Avenue. A Milwaukee man has been charged after repeatedly abusing his wife. 40-year-old Archie Griffin has been charged with five criminal accounts including mayhem domestic abuse, aggravated battery and first degree recklessly endangering safety along with two counts of bail jumping. Around 9 p.m. on September 25 Griffin called 911 to say that he got into a fight with his wife and she needed medical attention. He said his wife was going in and out of consciousness. When Milwaukee Police Officers arrived at the house the victim, Dorwhitem Johnson, was found dead in a bed. When detectives investigated the victim's body they found distinct discoloration near the mouth and on the cheeks of her face consistent with a chemical burn. Detectives found cigarette burns to the victim's private parts and additional signs of chemical burns to the neck along with bruising and healing cuts on her chin, inner thighs, stomach and back. The Medical Examiner determined that the body had been dead for over ten hours despite Griffin pretending to talk to the victim while making the initial 911 call. The ME believes the victim was whipped with an object and burned with cigarette multiple times. The woman had cuts and bruises all over her body consistent with being beaten. An official cause of death has not been determined. In a statement to police, Griffin said he thought his wife was cheating on him and "lost it." He told police he punched her in the head and body around 15 times and strangled her with his hands but said she never lost consciousness. The criminal complaint says Griffin admitted to kicking her in the head, arms and neck and hit her in the head a few times with a wooden chair leg. Griffin told police he would put his cigarettes out in numerous spots on his wife's body. He said he whipped her with a phone cord and bit both of her shoulders. He said the beating lasted for about two hours and happened either a week or two weeks before he called 911. Griffin said he was trying to nurse his wife back to health, but could tell something was wrong. He said she did not want to go to the hospital. Madison police say a man with a history of domestic abuse shot and killed a woman he had been seeing before killing himself over the weekend. Authorities said Monday that 39-year-old James Sykes shot and killed 34-year-old Sherry Waller in her home late Friday or early Saturday before turning the gun on himself. Madison Police Chief Mike Koval says Sykes shot Waller once in the head as she lay on her bed while two of her children were in the home. The Wisconsin State Journal reports Koval said Waller and Sykes had been in a relationship since at least around last Christmas. Sykes was convicted of felony domestic abuse in 2016, making it illegal for him to own a firearm. Police are unsure how he obtained the gun. A Milwaukee woman charged with homicide told police the dead man had been punching her, so she grabbed a butcher knife and stabbed him. The incident happened September 3rd. Officers were called to the apartment and, when they arrived, they say 33-year-old Danielle Latham was calm, even though she was sitting on the floor with blood on her hands and clothes. Quantrell Ross was unresponsive and life-saving measures failed. Latham is scheduled to return to Milwaukee County Circuit Court Friday. If convicted, she would face up to 60 years in prison. A man who Milwaukee police say was armed with a gun when officers shot and killed him was not legally allowed to have a firearm, court records show. The 48-year-old man drew a gun during a traffic stop on the city's near south side, Police Chief Alfonso Morales said Monday evening at a news conference shortly after the shooting. The man was wanted on a warrant in a felony domestic abuse case and probation violations. He had fled from officers earlier in the day, Morales said. The shooting involved uniformed officers, Morales said, meaning they likely were equipped with body cameras, but police officials have not said if the shooting was recorded on body camera footage or by a squad car dash camera. The Police Department also has not said how many shots were fired and has not publicly identified the man who was killed or the two officers involved, other than to provide the officers' ages and years of service. As of Tuesday afternoon, the department had declined to release further information surrounding the shooting. The shooting is being investigated by the Milwaukee Area Investigative Team, in accordance with state law that requires outside investigators to lead probes of fatal police shootings. The man who was shot and killed was identified as Mario A. Hobson, a source told the Journal Sentinel. His daughter told WISN-TV that Hobson had a history of suicidal thoughts and mental health problems. She could not be reached for further comment Tuesday. It's unclear if Hobson sought mental health treatment based on court records available Tuesday. The records show Hobson's attorneys in his prior court cases did not raise his mental health or competency during those proceedings. Marion Hobson was fatally shot by police in a traffic stop on Monday. Police said Hobson pulled a gun during the traffic stop. A warrant was issued for Hobson's arrest on July 29 when he was charged with felony battery, according to online court records. According to the criminal complaint, Hobson approached his ex-wife July 21 while she was walking with friends in the 2300 block of North King Drive. Hobson pulled up to her in his car and grabbed both of her arms. He punched her in the head twice and grabbed her by the neck, leaving scratch marks. In June 2017, he was convicted of misdemeanor disorderly conduct with a domestic violence modifier. According to the complaint, Hobson and his then-wife got into an argument while driving. She ran from the vehicle and he chased her. Hobson's wife was asking for help from a car passing by when Hobson pulled up, pointed a gun at the car and said, "You (expletive) better keep going." When Hobson's wife heard tires squeal and saw Hobson's car driving toward her, she pulled out a gun and fired two shots at the vehicle, the complaint says. Hobson was convicted in 2005 of felony possession of cocaine with intent to deliver, making it illegal for him to have a gun. A 47-year-old Milwaukee man has been charged with reckless homicide in the fatal shooting of his son during an argument on Saturday. Randell Wright told police he and Jakari Wright were arguing after Wright told his son he had to move out of their apartment in the 3700 block of West Oklahoma Avenue. Wright picked up his gun and then his son said, "Kill me, I want to die," Wright told police. But instead, Wright said, his son tried to wrestle the gun away and it fired, striking his son in the left cheek. Jakari Wright, 21, staggered around the apartment, bleeding profusely, then down the stairs before collapsing in the lobby of the apartment building, where others were trying to stop the bleeding when police arrived. "I lost my son on some (expletive) that shouldn't have even went down," Wright told police. 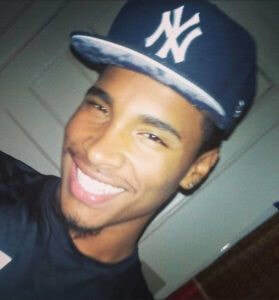 Milwaukee County Medical Examiner Brian Peterson's autopsy concluded that Jakari Wright was shot from behind after his body had turned away from his father. Detectives concluded the evidence was inconsistent with Wright's version of the struggle and gunshot. District attorneys say they won't file charges against Sarina Stone in the death of 26-year-old Robert Thomas Jr. Prosecutors determined Stone did murder Thomas, but lacked enough evidence to prove she intended to kill him. Investigations find Stone and Thomas's relationship was almost daily violent in nature. There are several incidents of violence from Thomas against Stone. Prosecutors say there's enough evidence to support Stone was trying to defend herself when she stabbed Thomas early Wednesday. Stone picked up Thomas and they drove to a parking lot in the 2700 block of West Wall Street. Stone told police that Thomas struck her during an argument before she stabbed him. She then drove Thomas to Mercyhealth where he later died. He died from a single stab wound to the chest. A 54-year-old Brookfield man who closed a garage door on his face died Thursday, the Waukesha County Medical Examiner's Office said, three days after the incident in which he is also suspected of bludgeoning his wife with a dumbbell. Police are treating the investigation as an attempted homicide after responding to a domestic violence case Monday, according to a search warrant affidavit filed by City of Brookfield police in Waukesha County Circuit Court. The couple's 22-year-old daughter, who was home from college, heard her mother, 52, screaming and called 911. The daughter had been in her room when she heard several thuds and the garage door close. The mother was found bloodied and her teeth missing. Responding officers found the husband lying on the ground in the garage with trauma to his face. A dumbbell was located nearby, which may have been used to batter the woman, according to the affidavit. The husband was found with his head underneath the overhead garage door. The safety feature of the door had been disabled. A rope tied to the release for the door was also visible; It appeared the rope was used to release the door, the affidavit said. The couple was taken to Froedtert Hospital, the affidavit said. A search of the couple's home found three human teeth in the hallway, one tooth on the garage floor, a 5-pound dumbbell, a rope connected to a garage cord and computer equipment. The couple filed for divorce in January, but suspended proceedings July 11 to try and reconcile, according to online court documents. Court records showed one previous incident of domestic violence in 2003. We can all do #1Thing towards eradicating domestic violence. The #1Thing that will end domestic violence is our collective power. We're one month closer to Domestic Violence Awareness Month! The national theme this year is #1Thing. 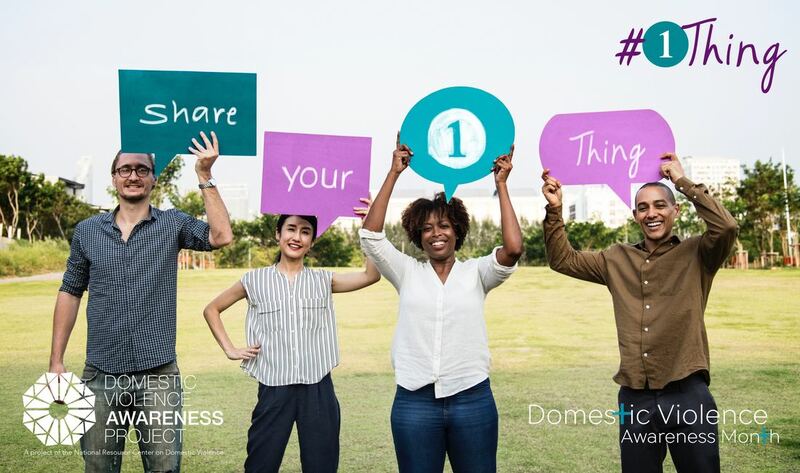 What's your #1Thing that will help prevent domestic violence? Hope House will be organizing several projects and displays in October. Look for our luminary display in our front yard, a donation drive on #PurpleThursday on October 18, community displays at libraries, campuses, courthouses, and community centers, and more. We'll have more information on our Events page as we finalize details. If you'd like a domestic violence prevention poster or presentation this October, please call us at 608-356-9123 or email us here. Are you a health care provider? October 10 is National Health Care About Domestic Violence Day. Learn more about how your hospital or clinic can get involved by visiting: ​www.futureswithoutviolence.org/health/hcadvday. Congrats to Sauk County Assistant District Attorney Rick Spoentgen! Congrats to Sauk Co. ADA Rick Spoentgen for being appointed by Attorney General Brad Schimel as one of the 16 new members for the Attorney General’s Sexual Assault Response Team! The SART evaluates the state’s response to sexual assault at the local, county, and state level, and makes recommendations and reforms to improve the system response to sexual assault. Learn more here. ​Special Note about Travel-Size Items: We encourage those looking to donate travel-size items to donate them to the Backpack Project. The Backpack Project strives to provide Baraboo School District students who are financially challenged to enter the school doors on the first day ‘just like everyone else’ and to show these children the community supports and encourages them to learn and do their best. If interested in donating towards this project, please contact Becky Hovde at 608-963-8230 or Hivebiz65@gmail.com.